Agency: Mine Operator Kept Two Sets Of Records : The Two-Way At the Upper Big Branch mine where 29 men died in April 2010, there was an internal set of reports about safety problems and another set kept for federal inspectors that didn't mention the hazards, federal officials say. -- Mine owner Massey Energy kept two sets of records that chronicled safety problems. One internal set of production reports detailed those problems and how they delayed coal production. But the other records, which are reviewed by federal mine safety inspectors and required by federal law, failed to mention the same safety hazards. Some of the hazards that were not disclosed are identical to those believed to have contributed to the explosion. -- Portions of the Upper Big Branch mine hit by the explosion were not treated for excessive and explosive coal dust because the entryways or tunnels in those areas were too small to accommodate the machine used to spray the material that neutralizes coal dust. -- Gas readings taken shortly after the explosion showed too little methane to support Massey Energy's claim that a massive, naturally-occurring and unpredictable inundation of gas caused the disaster. -- The path of the fiery blast that accompanied the explosion traveled in more complicated and convoluted ways than reported earlier. 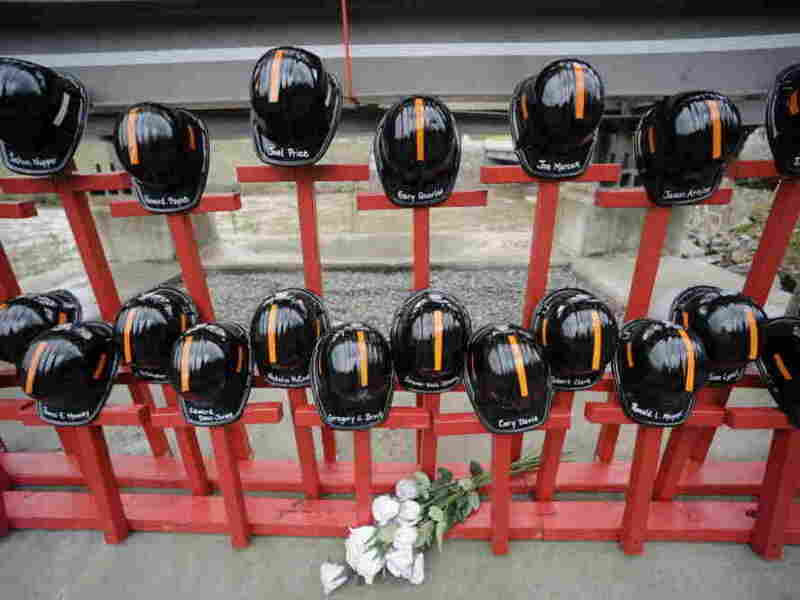 Those details come from a private briefing in Beckley, W.Va., held last night for the families of the 29 mine workers killed in the disaster. Six participants provided those details to NPR. The participants said the Mine Safety and Health Administration (MSHSA) presented findings that support its earlier, preliminary conclusions, as well as those of an independent team of investigators, who issued their final report last month. Massey Energy was recently absorbed by Alpha Natural Resources in a friendly takeover. An Alpha spokesman told NPR before last night's private briefing that the company would have no comment on any new information until after a public briefing set for 10 am ET today. MSHA told the families that its final report should be ready this Fall.